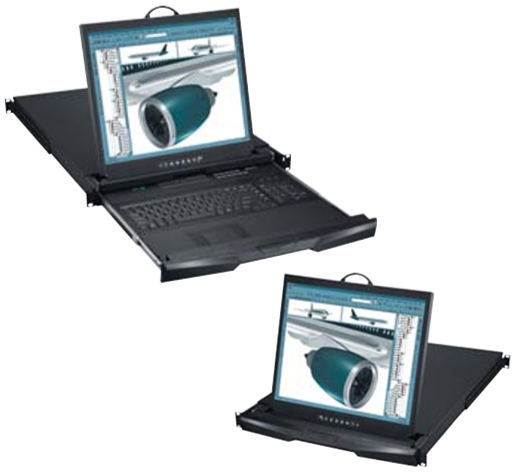 The newest CyberView K123 4K Rackmount LCD monitor series easily adds side access to your rack environment. With the choice between a left facing monitor or a right facing monitor, as well as the ability to combine this powerful console drawer with an integrated KVM, the CyberView K123 series is sure to handle critical needs in datacenters or limited space server rooms and IT closets. In instances where a rack side is placed against a wall, the K123 allows the user to be positioned facing the wall comfortably rather than snugged up against it. Console w/ KVM 1.73 x 17.4 x 29.5 in.